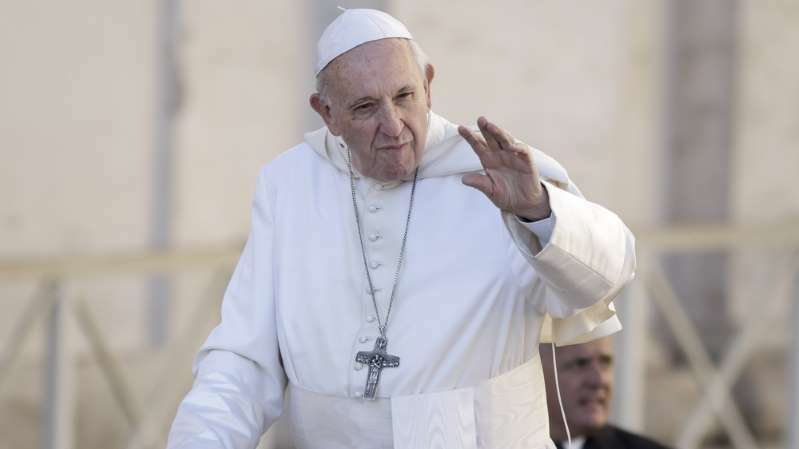 Pope Francis wants to visit North Korea in the coming months, a South Korean official said on Monday, a further sign the isolated nation is opening up to the world. The move comes after North Korean leader Kim Jong Un invited the pontiff to his country last week. "I heard that there is talk that Pope Francis wants to visit North Korea next spring," Lee Hae-chan, the chairman of South Korea's Democratic Party, was quoted as saying on Monday by Yonhap news agency. Lee didn't clarify the source of his information. It the visit happens, it would be the first time a pope visited North Korea. North Korea and the Vatican have no formal diplomatic relations. North Korea's constitution guarantees freedom of religion as long as it does not undermine the state, but beyond a handful of state-controlled places of worship, no open religious activity is allowed. The rival Koreas held high-level talks on Monday to discuss further engagement amid a global diplomatic push to resolve the nuclear standoff with North Korea. South Korea said discussions were aimed at finding ways to carry out peace agreements announced after the summit last month between South Korean President Moon Jae-in and North Korean leader Kim Jong Un in the North Korean capital, Pyongyang. The meeting between senior officials comes at a sensitive time as the United States has expressed unease over the fast pace in inter-Korean engagement, which it says should move in tandem with US-led efforts to denuclearise the North. Before leaving for the meeting at the border village of Panmunjom, South Korean Unification Minister Cho Myoung-gyon said the discussions will include setting up a joint survey of a North Korean railroad section the Koreas plan to connect with the South. The North's chief delegate to the talks is Ri Son Gwon, who chairs the North Korean agency that deals with inter-Korean affairs. There could also be discussions over the specifics of a joint military committee agreed between their leaders to evaluate tension-reduction steps and maintain communication to prevent crises and accidental clashes. In their third summit this year, Moon and Kim committed to revive economic cooperation when possible, voicing optimism that international sanctions could end and allow such activity, and hold a ground-breaking ceremony by the end of the year on an ambitious project to connect their roads and railways. The North and South also announced measures to reduce conventional military threats, such as creating buffer zones along their land and sea boundaries and a no-fly zone above the border, removing 11 front-line guard posts by December, and demining sections of the Demilitarized Zone. The Koreas also said they will make a push to co-host the 2032 Summer Olympics. However, South Korea's enthusiasm for engagement with its rival appears to have created discomfort with ally United States amid growing concerns that the North is lagging behind its supposed promise to denuclearise. Moon's government last week walked back a proposal to lift some of its unilateral sanctions against North Korea following US President Donald Trump's blunt retort that Seoul could "do nothing" without Washington's approval. South Korea's Foreign Minister Kang Kyung-wha also said US Secretary of State Mike Pompeo had expressed displeasure about the Koreas' military agreement. Kang was not specific but her comments fueled speculation Washington wasn't fully on board before Seoul signed the agreement. Despite three summits with Moon and one with Trump in June, Kim has yet to provide a convincing sign he's ready to deal away his nuclear weapons, which he may see as his strongest guarantee of survival. Pompeo recently visited Kim in Pyongyang in an effort to set up another summit between him and Trump following rocky exchanges in lower-level talks that saw North Korea accuse Washington of "gangster-like" demands on denuclearisation.